Dr. Ramesh M Patel, MD is a Doctor primarily located in Orlando, FL. His specialties include Family Medicine. He speaks English. The overall average patient rating of Dr. Ramesh M Patel is Great. Dr. Ramesh M Patel has been rated by 21 patients. From those 21 patients 3 of those left a comment along with their rating. The overall rating for Dr. Ramesh M Patel is 3.8 of 5.0 stars. This doctor was awesome. I went to the older (father) Patel to which I think he is an amazing doctor. I would recommend him to anyone. The dr is wonderful both of them however the one girl with long blonde hair I think her name it's Christine is unprofessional, rude and miserable. If it wasn't for the one girl up front the practice would be perfect. Sometimes staff can ruin a whole office. I've been seeing dr Patel for many years they are very sweet, professional and great bedside manor if you can just bypass the one office lady. Dr. Patel has been my PCP for 5 almost 6 years, never any problems. Staff always kind and caring. 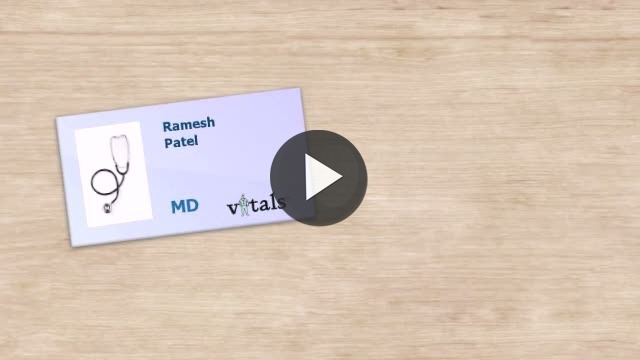 Take a minute to learn about Dr. Ramesh M Patel, MD - Family Medicine in Orlando, FL, in this video. Dr. Ramesh M Patel is similar to the following 4 Doctors near Orlando, FL. Have you had a recent visit with Dr. Ramesh M Patel? Select a star to let us know how it was.